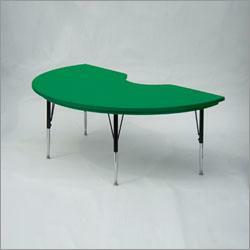 Product: Kidney Shape Activity Table - Correll AR4872 with Plastic Table Top and Steel Frame. Competitive Edge Products is committed to bringing you the best products at the lowest prices. 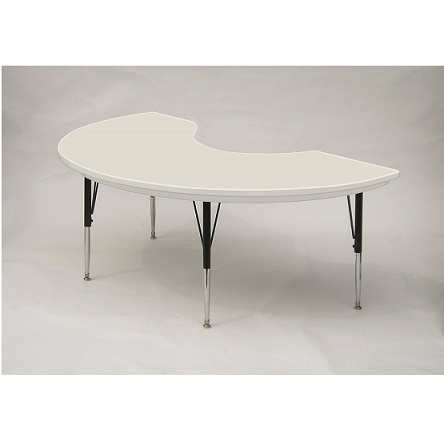 If you find this model of Correll Activity Table cheaper anywhere else online, let us know. We will do everything we can to match or beat their price. This Correll Activity table is perfect for the home or for classroom use. These tables come in fun colors. 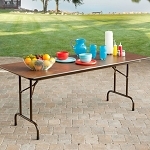 Each table top is resistant to stains from just about anything. The tables are kidney shaped for a fun look while also providing the perfect design for interactions between students and teacher. All Correll products come with a warranty from the factory. Blow-molded tops resist stains and damage from food, juices, crayons, paint, and even permanent markers. Tops are light weight, scratch and impact resistant. Colors go all the way through, and will not wear or scrape off. Free standing, full perimeter welded steel frames. Legs attach to frames with 3 bolts each (socket wrench required). Free Speed-Wrench for fast height adjustments. Standard legs adjust from 21" to 30" in 1" increments. This item is quick ship. Longer and heavier leg braces than any major competitor. 60 percent thicker and twice as long. Attached with a total of ten 3/4 in. long screws. 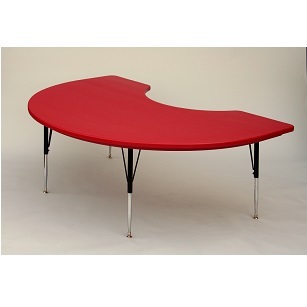 Correll activity tables are warrantied for 5 years through the Manufacturer. Ships directly from the factory in Arkansas. 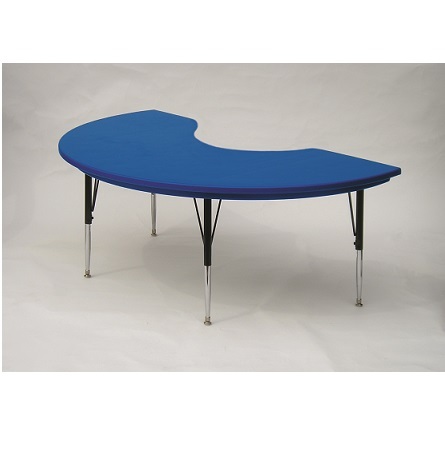 Competitive Edge Products, Inc. is an authorized reseller of Correll, Inc. AR4872 Activity Tables, Kidney Shaped Class Room Tables. Q: How many people can this seat? A: This can seat about six children with an adult on the other side. Shipping on In Stock Items: Orders for the Correll AR4872 generally leave the warehouse within 2-4 business days. Delivery Details: This product generally ships directly from the warehouse in Charleston, AR. This item generally ships via a curbside delivery through an LTL carrier (too big for UPS and FedEx). The customer must be present to sign for the order. The freight carrier is instructed to contact you prior to delivery to set up a delivery appointment. Dimensions: 74" x 50" x 3"